* China sailed it's aircraft carrier and other navy ships through the Taiwan Strait that separates self-ruled Taiwan from mainland China. * China has been increasingly hostile towards Taiwan, which it fears as an existential threat. * China has bumped up military drills and exercises around Taiwan. 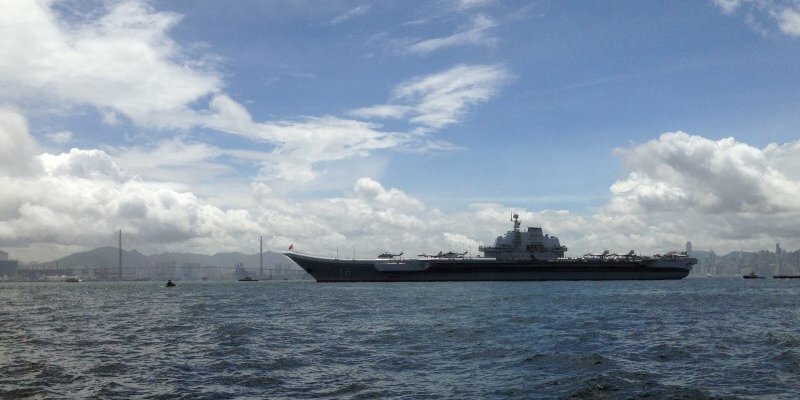 TAIPEI (Reuters) - A Chinese carrier group has sailed through the narrow Taiwan Strait that separates the self-ruled island from its giant neighbor but no unusual activity was detected, Taiwan said on Wednesday, amid heightened tension with Beijing. Beijing has taken an increasingly hostile stance toward Taiwan since the election two years ago of President Tsai Ing-wen of the pro-independence Democratic Progressive Party. China suspects Tsai wants to push for formal independence, though she has said she wants to maintain the status quo and is committed to ensuring peace. WNU Editor: This is not only intimidation being directed at Taiwan .... but an exercise to see how the countries in the region will react .... as well as how the U.S. will react.